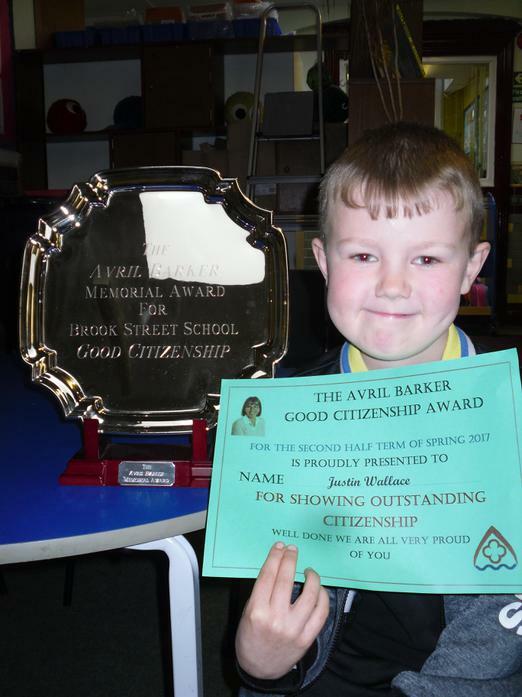 The winners of the Avril Barker Good Citizenship Award for the second half of the Spring term are Justin Wallace and Szymon Warnke, both in Year 3. 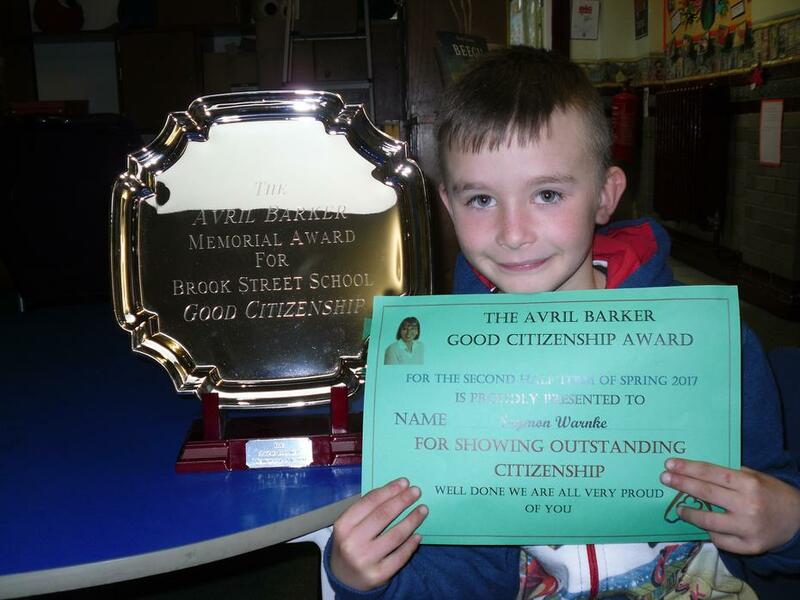 Avril Barker worked at Brook Street School for many years and made a huge contribution to the school community. After her sad death last year, her family decided to donate an award to the school in her memory. Staff nominate a pupil who has shown great citizenship skills and also embodies the value we learn about each half term. Both boys are incredibly trustworthy and their honesty is exemplary for all those in school.